Dearborn Historical Museum. Commandants Quarters. Photo by David Lewinski. McFadden Ross House. Photo by David Lewinski. A few short years ago, the Dearborn Historical Museum was in disarray. Chief Curator Jack Tate came aboard in the fall of 2012 and, along with a horde of volunteers and limited staff, as well as support from the Museum Guild of Dearborn, directed a complete re-inventory, which is ongoing. That re-inventory includes digitizing every single piece in the museum’s stash. The first step is sorting and identifying each object by trying to locate an accession number or the era it came from or purpose of the object. Next, the object is photographed, tagged, and displayed in an organized manner on a shelf or storage space. Then the item number is scanned into museum archive software. “Digitizing is time-consuming,” said museum Archivist and Communication Specialist Mason Christensen. “It’s like a triage process,” adds Collections Manager and Registrar Matthew Graff. Along with what was on hand already, the museum comes across other items, such as things people drop off occasionally, and items from other historical museums. That adds up to quite the inventory. Matthew Graff. Photo by David Lewinski. The museum has partnerships with many historical museums in the area, and they all work together to make sure historical artifacts make their way back to their respective hometowns. They have recently established a partnership with the Grass Lake Military Heritage Museum, which has more space for the military items that Dearborn comes across. The staff has even personally driven items out of state. “Jack has personally driven several items over the border,” said Graff. Tate even drove to Beloit College in Wisconsin to return Plains Native American items that the College, during desperate times in the 1950s, sold for cash. “They were happy to have them back,” said Graff. The Dearborn Historical Museum has been the City of Dearborn’s archives since 1950. 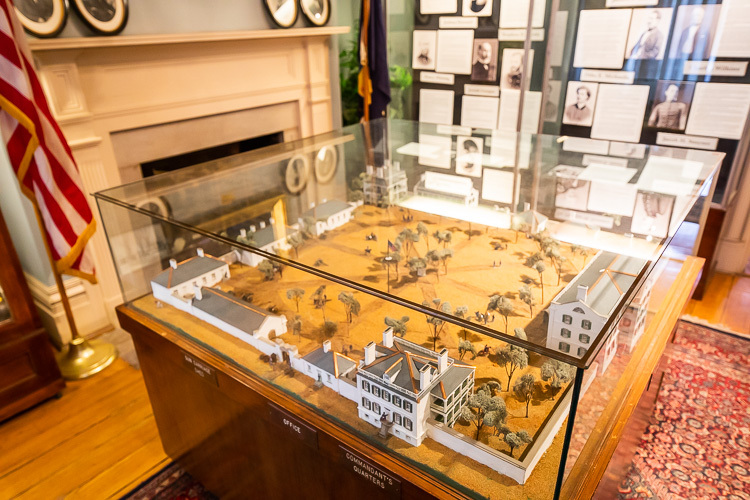 Comprised of Dearborn’s oldest building still in its original location, the Detroit Commandment’s Arsenal Quarters, the McFadden Ross House, and the Richard Gardner House, it serves to preserve the people and history of its past. Not only has Tate spearheaded the reorganization efforts of the museum, but he has also worked to realign marketing strategies with today’s needs. The museum is in a constant state of renovation. Their current to-do list involves major repairs like porch replacements, electrical rewiring, and basic but dire structural integrity upgrades. Richard Gardner House. Photo by David Lewinski. Graff said they tried to secure funding for all of the costs, but have since decided to take it one part of a building at a time. That means more social media and events geared towards attracting people to check out the museum when they are in town. There have been many added events to the museum’s lineup over the past few years, including one of their most popular, the annual Party at the Museum Beer Tasting. “The beer tasting is our big ticket event,” said Graff. The event, every September on the museum grounds, hosts breweries from the Metro Detroit area, food trucks, and live music. Funds go towards museum programming and repairs. Other events include lectures, the Spring Craft and Treasure Bazaar, a banjo concert, trunk sales, a Teddy Bear Picnic, Herb Society plant sale, and one of the more recent popular events, apparition seekers. The Tennessee Wraith Chasers, a paranormal investigative team featured on such television shows such as “Paranormal Challenge,” “Ghostland Tennessee,” and “Ghost Asylum,” will host seekers of the undead spirits on June 15, and will donate proceeds to the museum. And since Dearborn is celebrating its 90th birthday this year, they will also host a birthday gala later this summer, in July. Commandants Quarters. Photo by David Lewinski. On the actual birthday of January 15, the archivist hosted a live stream video on the Facebook page covering the history of Dearborn. There was also an event at the Commandant’s Quarters where a Dearborn family artifact, the Nowlin Powder Horn, lost for over 60 years, was repatriated back to the Detroit Historical Society. 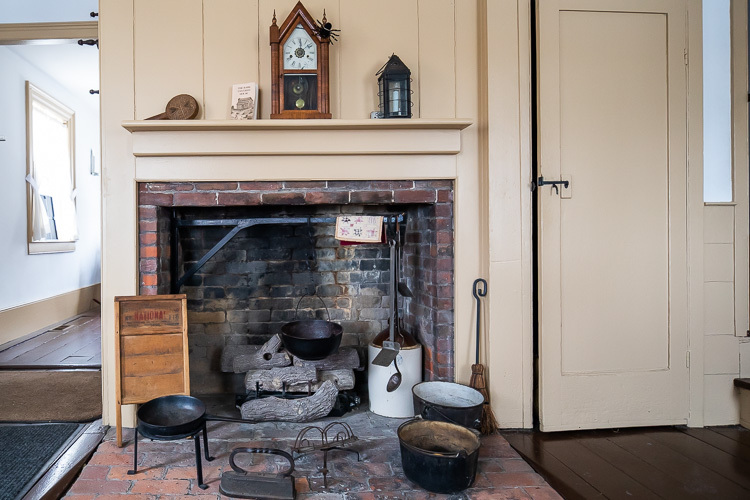 For the birthday month of January, free copies of The Bark Covered House, telling the story of the Nowlin family coming to and living in Dearbornville, are being given out to visitors at the Commandant’s Quarters. 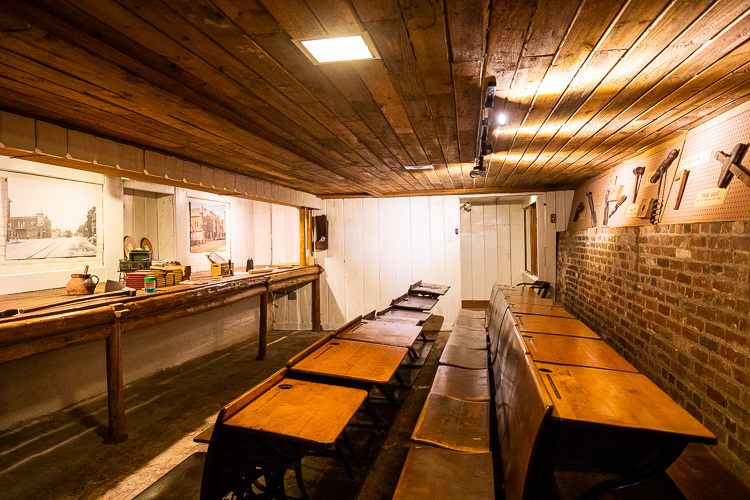 Also, all Dearborn Historical Museum membership levels are 50% off from now through the end of Homecoming, the annual festival event in Ford Field Park, August 4, 2019. Graff says that the museum could not pull off any of the things they do without the scores of volunteers and interns that offer their time. He also says that interns from high school through college help as well. For many interns, that is reciprocated. 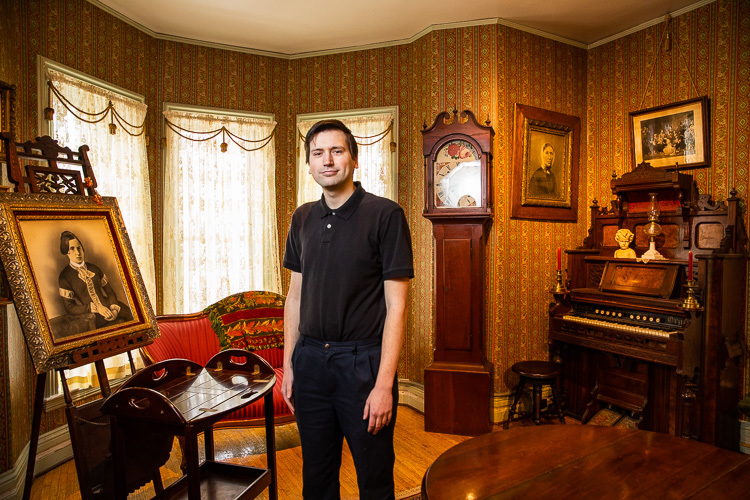 "The museum and their archives give each citizen the opportunity to investigate or celebrate the evolution of their city,” said recent UM-Dearborn intern Tyler Rhudy. “In southeast Michigan, which embodies the apex of the Industrial Revolution and the Great Migration, there are innumerable stories to be told, from technological innovation to labor relations, to bootlegging and Prohibition." Rhudy says anyone can stop by to donate time or funds to the museum. “Supporting your local historical museum is important,” he said. For more information on events, volunteering or donations, visit https://thedhm.com/.